The Scientific, Technological and Innovation Policy Council (CPCTI) of the Spanish Ministry of Science, Innovation and Universities has recently approved the updating of the National ICTS Map (Unique Scientific Technological Infrastructures). ICTS are large installations, resources, facilities and services, unique in its kind, that are dedicated to cutting edge and high-quality research and technological development, as well as to promote exchange, transmission and preservation of knowledge, technology transfer and innovation. After the evaluation by the CPCTI of the ICTS activity during the last four years, NANBIOSIS maintains its presence in the new National ICTS Map, but it introduces a novelty compared to the prior one. 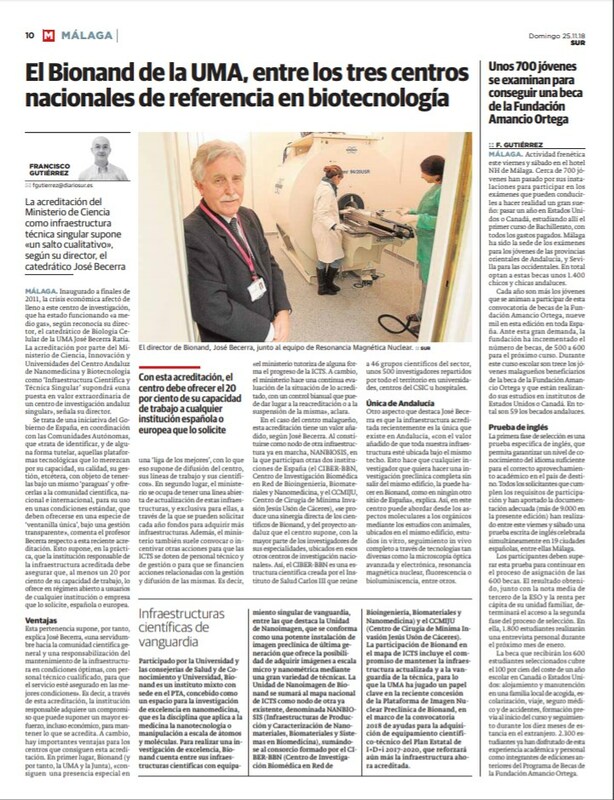 NANBIOSIS, initially formed by CIBER-BBN and CCMIJU, incorporates BIONAND as new node, which has been included in the Strategic Master Plan for the next four years. NANBIOSIS is the ICTS that provide a complete integrated cutting-edge biomedical advance solutions for companies and research institutions under a single contact point through the design and production of biomaterials, nanomaterials and their nanoconjugates, its characterization from a physic-chemical, functional, toxicological and biological (preclinical validation) point of view, focused on biomedical applications such as: IVDs, medical devices, biosensors, regenerative medicine, drug delivery systems, therapeutic agents or MRI contrast agents. 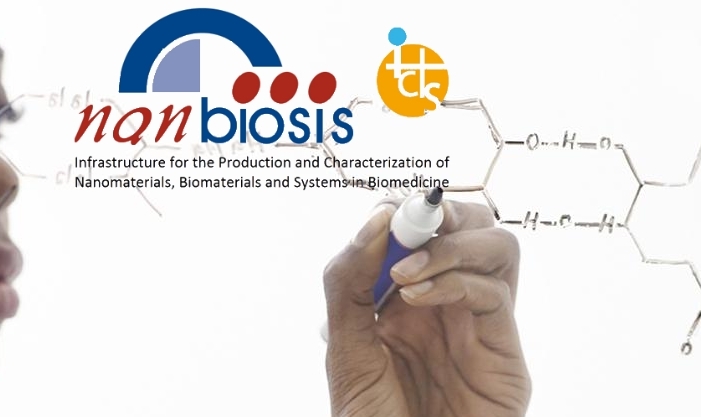 The incorporation of BIONAND to NANBIOIS supposes for the ICTS the possibility of amplifying its capacities and in particular to complete and expand its offer of cutting-edge biomedical solutions. BIONAND, located in the Technological Park of Andalusia and directed by Professor José Becerra Ratia of the University of Málaga (UMA), is a mixed character center participated by the University of Malaga and by the Andalusian Government, conceived as a space for excellence research in nanomedicine that has scientific infrastructures with unique avant-garde equipment, among which, the Nano-Imaging Unit, incorporated to NANBIOSIS, stands out. BIONAND’s Nanoimaging Unit brings together a wide range of cutting-edge technologies, including high-field magnetic resonance imaging and spectroscopy, micro-CT, PET, SPECT, intra-vital optical imaging, electron microscopy, advanced optical microscopy, cell sorting and high content screening. The unit has been conceived and optimized to provide very diverse and integrated technological support for nanotechnology-based biomedical research, offering advance services to internal and external users. The Nano-Imaging unit, headed by Dr. María Luisa García Martín, is a powerful last-generation of preclinical imaging facility that offers the possibility of acquiring micro and nano-scale images through a wide variety of techniques. 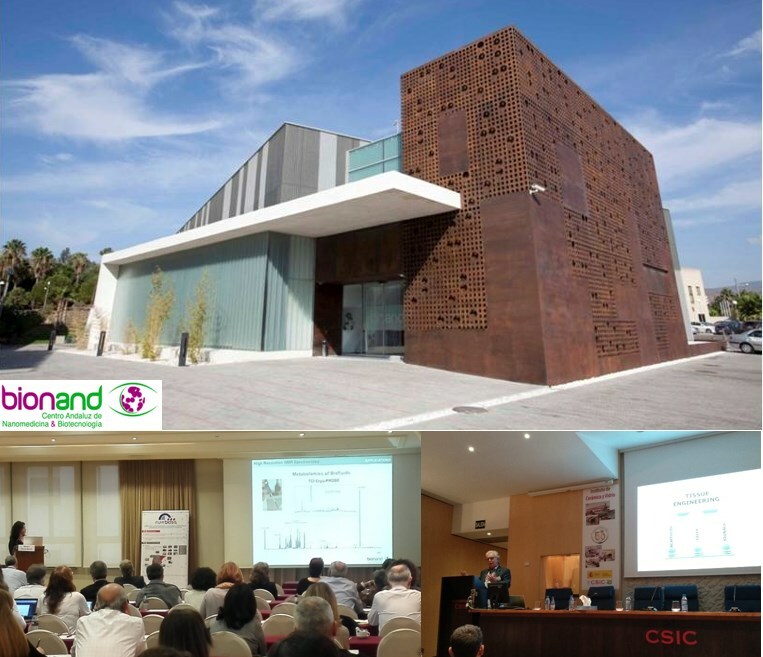 Dr. María Luisa García presented BIONAND as the new node of NANBIOSIS on November 12 in the session dedicated to NANBIOSIS that took place at the annual Scientific Conferences of CIBER-BBN.